I can’t help but wonder where the Aggravation Cocktail got its name. Maybe it helps you get past aggravation? Because it sure doesn’t cause any. This drink features scotch with Kahlua and cream, making it something you could think of as an interesting variation on the White Russian. 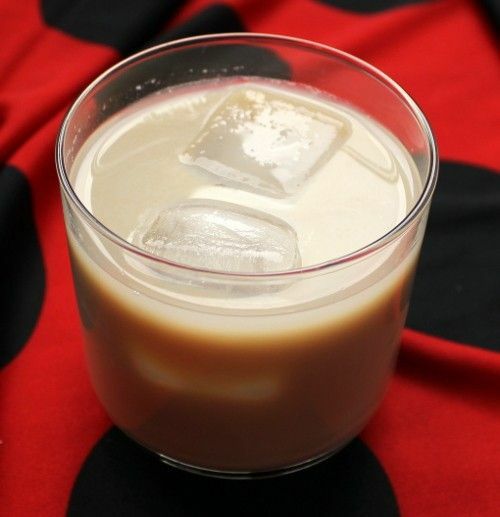 You might think scotch and Kahlua would taste bad together, but the cream makes a big difference. Give this one a try the next time you’re in the mood for a White Russian. Fill an old-fashioned glass with ice. Pour in the scotch and Kahlua. Float the cream on the top and serve with a straw for stirring.